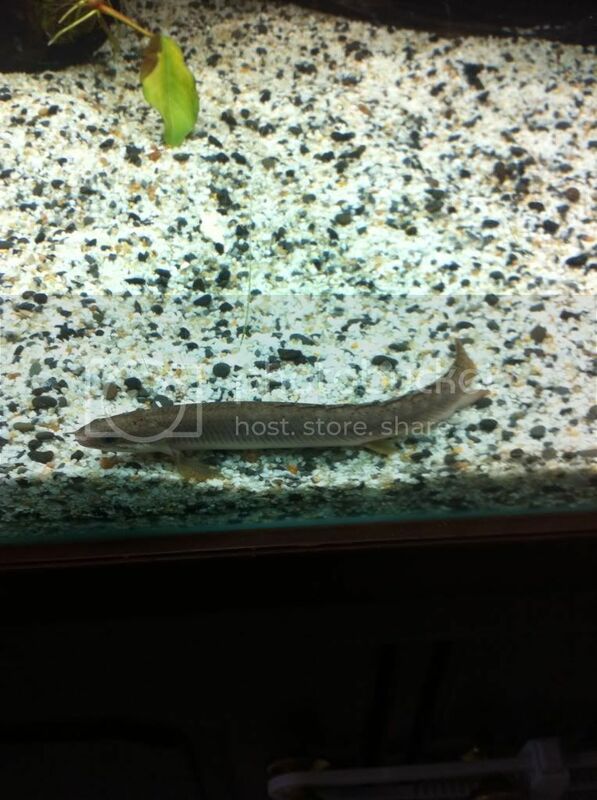 hey guys i just got my hands on a little Senegal Bichir and just after some tips on keeping and feeding these awesome guys from the members with experience as this is my first. Bit rude mate - one purpose of this forum (I gather) is to help people. il throw up some pics soon mate he is an awesome fish to watch, i didnt think they would get around much but he swims round all over the tank. About as useful as a wheel chair with pedals Craig. Bowdy- chopped prawn, chopped fish fillets and hikari carnivore. Can't go wrong. Make sure all your filter intakes are secure. Not much else, pretty undemanding species. Did you get him from Perth aquariums ? Do you know what tank makes are suitable and if they would be cool in a planted tank? They spawn best in planted tanks as they are egg scatterers. Leave small brown adhesive eggs attached to everything... Plants, substrate and even on snails. Bloodworms and brine shrimp is ok when they are small but I wouldn't bother with it as they grow. He is 15cm and looks real happy and healthy. I have him on blood worms , brine shrimp and krill ATM and he loves it. He is so active awesome fish. In your opinion Alex what tank mates are recommended and what to stay away from ? I have googled a lot before this post but thought it would be best to get info direct from members with experience. Cheers. They grow pretty slow hey Ray? I've been doing a bit of reading and this seems to be the case. A fully grown one would be awesome! I'm hunting one down. Not 100% sure on growth rate google says a lot of different things. Il soon find out. Very cool species to keep, I have had a few over the years. Had them spawn once but they ate the eggs. I fed mine on NLS Cichlid formula which they all loved. I used bloodworms as a treat. As to growth rates, all of mine grew quickly to about 20cm & then slowed down. Tankmates, I kept mine with large American cichlids. I never had trouble but never felt secure having them together. When I had my trio I kept them with african cichlids and thy got along just fine. The Bichirs will look after themselves if they get picked on. They will eat small fish and fry. As said above they will jump out of the smallest cracks/openings so make sure to cover them up. Give them tubes etc to hide in and they will be more active due to feeling safe I guess. I had PVC pipes and plenty of plastic plants & rocks. I recommend them to anyone wanting a very undemanding fish that look bloody awesome swimming around the tank with a snakey/dinosaur appearance.